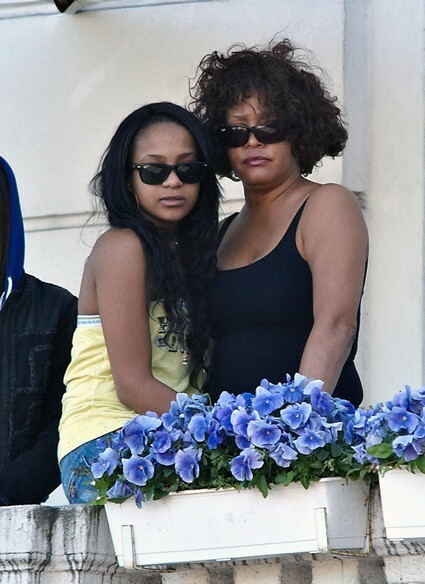 Whitney Houston and her daughter, Bobbi Kristina, shared the same drug dealer according to sources who have come forward. It is alleged that in the final months of Whitney’s life she was getting regularly supplies with drugs from a dealer named Jay who drove a black Cadillac Escalade when he made his deliveries. But here is the ugly twist: an insider reveals that Jay was not only ‘taking care’ of Whitney but he was also supplying drugs and booze to 18-year-old Bobbi Kristina! The sad truth is that not only did Whitney kill herself – either literally or figuratively or both – but she seems to have created an environment in which her daughter has already become infected with the same disease that felled her mom. “Bobbi Kristina bought drugs from Jay only when Whitney was out of town,” a source revealed. “She’s underage and can’t buy alcohol. so Jay would also bring her large bottles of vodka.” “She’d take the booze to her bedroom and drink there. Bobbi Kristina also threw wild parties when her mother was away, inviting 50-60 friends over about twice a week, said the source. “Bobbi and her friends would tear up the house, drinking, dancing, screaming and doing drugs until they passed out,” said the insider. It was pretty out of control. But when Whitney came back home she, didn’t seem to care. “WHITNEY WOULD SAY, ‘SHE’S YOUNG, SHE’S HAVING FUN!’ and leave it at that,” said the source. When Bobbi talks to Oprah she will sure have some sordid stories to tell – but will she reveal the truth? Whitney Houston and Bobbi Kristina lived exactly like degenerate trailer trash but WITH MONEY! They are perfect examples showing that fame and fortune are nothing without character. What is amazing here is that nobody stepped in and removed Bobbi Kristina from that toxic environment. The people surrounding Whitney Houston – her family, friends, and employees – were all worse than useless. They gave Whitney a golden casket and buried her in $500,000 of jewellery and designer clothing – but when she lived these same people did not one thing to save her from herself. What is your opinion on all of this? Was Whitney a good mother? Was Bobbi Kristina a good daughter? Does she have chance at having a decent life? Let us know in the comments below.